Limited edition 7" vinyl. Paul Paterson and his Band. Released 2008 on Rollin Records. 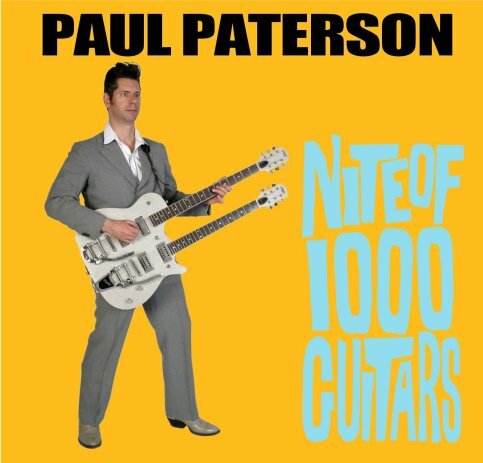 Paul Paterson and his Band. Released 2008 on Rollin Records. 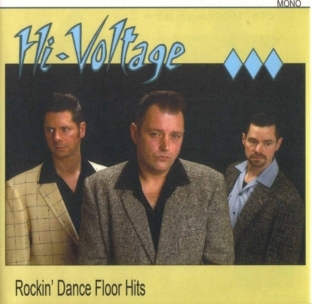 Hi-Voltage. Released 2008 on Rollin' Records. The single from the Rockin' Dance Floor Hits album features an alternate take of "Baby Please Don't Go". 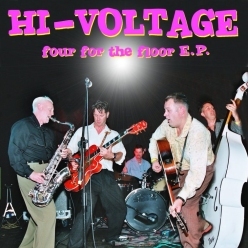 'The Hot Rod Man' is the second studio album from authentic Rockabilly combo Hi-Voltage, showing that one of Britain's best rockin' bands has got even better! 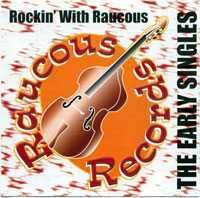 This is scorching stuff mixing pure Rockabilly with other vintage rockin' styles of the era. A winning mix of original songs together with 50's covers of classic artists like Johnny Burnette, Charlie Feathers and Johnny Horton, and some of the lesser-known greats too. 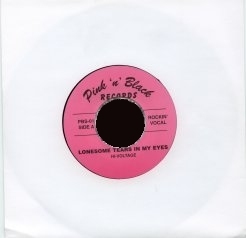 The A side is "Lonesome tears in my eyes B/W Too hot to handle" as a 7 inch single on Pink 'n' Black records. Available now from Pink 'n' Black records. Available NOW from Nervous Records. 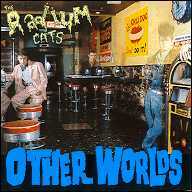 The second and final Radium Cats album. 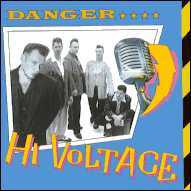 Released in 1992 this was a big hit on the psychobilly and neo-rockabilly scene. Still available today from all good stores. Contains two 'Radium Cats' tracks that were originally available as a 12" single in the early 90's. 1. THE GO - KATZ: "Nightmare"
3. FRANTIC FLINTSTONES: "Let's Go Somewhere"
5. THE CARAVANS: "More Whiskey"
6. THE GRISWALDS: "Do The Hucklebucks"
7. THE GRISWALDS: "Robbie Robot"
8. THE DELTAS: "You Can't Judge A Book"
9. THE DELTAS: "How Come You Do Me"
10. THE TERMITES: "Home Sweet Home"
11. FRANTIC FLINTSTONES: "Old Black Joe"
12. FRANTIC FLINTSTONES: "Alcohol Buzz"
13. SGT. FURY: "Cold Cold Sunday"
14. THE NITROS: "Something Gotta Give"
15. THE RATTLERS: "Face The Fact"
16. RADIUM CATS: "Pink Hearse"
17. RADIUM CATS: "Haunted By Your Love"
18. THE MERCURYS: "Bop Pills"
19. DEUCES WILD: "Cadillac Rust"
20. SGT. FURY: "Psycho Vision"
21. THEE WALTONS: "Kangaroo Barndance"
22. THEE WALTONS: "Fat, Drunk, Stupid"
23. THE RAYGUNNS: "Reday To Burn"
24. SGT. FURY: "Caught In A Dream"
25. COSMIC VOODOO: "Old Man In The Woods"